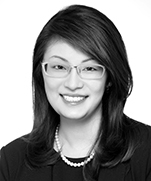 Lynette Khoo is a Partner in Dentons Rodyk's Real Estate practice. Lynette’s areas of practice include acquisitions and divestments of real estate, leasing transactions and real estate financing. She has advised public listed local and multinational companies, real estate developers, property funds, REITs, asset managers, statutory boards and banks in respect of a broad range of real estate, including industrial and logistics properties, retail malls, office buildings, hotels, recreational facilities, commercial and residential strata titled developments and mixed use sites. CapitaLand Limited: Advising in its divestment of a 70% stake in Infinity Mall Trust, which holds Westgate, to CapitaLand Mall Trust (a Singapore Exchange-listed REIT) for S$789.6 million (US$577.1 million). Westgate is the retail component of an integrated retail and office development in Singapore’s Jurong Lake District. The divestment is based on an agreed market value of the entire Westgate development at S$1.128 billion (US$820 million). Mapletree Logistics Trust Management Ltd: Acting for the Manager of Mapletree Logistics Trust (the first Asia-focused logistics REIT in Singapore), as lead transaction counsel in the acquisition of 5 modern, ramp-up logistics properties in Singapore from Hong Kong-listed CWT International Limited (a wholly-owned subsidiary of Chinese conglomerate HNA Group), for approximately S$775.9 million (US$567.6 million). This sum comprises the aggregate purchase consideration of S$730 million (US$534 million) and the aggregate upfront land premium of approximately S$45.9 million (US$33.6 million) paid to JTC Corporation for the balance lease terms. The 5 properties have a total gross floor area of approximately 3,212,045 square feet on a combined land area of 1,507,902 square feet. CapitaLand Commercial Trust Management Limited: Acting for the Manager of CapitaLand Commercial Trust (a Singapore Exchange-listed REIT), as lead transaction counsel in the sale of Twenty Anson to an unrelated third party, for a sale consideration of S$516 million (US$378.7 million). Twenty Anson is a 20-storey office building located in Tanjong Pagar, a sub-market of Singapore’s Central Business District. This was reported to be Singapore’s largest office real estate deal in 2018, with the sale consideration working out to S$2,503 (US$1,837) per square foot based on the building’s net lettable area of approximately 206,000 square feet. SingHaiyi Group Ltd: Acting for SingHaiyi Properties Pte. Ltd. (a wholly-owned subsidiary of the Singapore Exchange-listed SingHaiyi Group Ltd) and Huajiang International Corporation Pte. Ltd., in their joint collective purchase of the freehold residential development known as Sun Rosier at the purchase price of S$271 million. Sun Rosier has a site area of approximately 13,568.10 square metres. FMC Corporation (FMC): Acting as FMC’s Singapore real estate counsel in two transformative global transactions with DuPont, which involved rendering extensive advice on the acquisition of a manufacturing site located in Singapore, covering a wide range of pre-closing and post-closing matters including real estate legal due diligence, head lessor's consents, Singapore regulatory approvals and other site-specific land use issues. The global transactions involved FMC's acquisition of a portion of DuPont's Crop Protection business (which DuPont had been required to divest to comply with the European Commission ruling related to DuPont’s US$130 billion merger with The Dow Chemical Company) and DuPont's acquisition of substantially all of FMC's Health & Nutrition business. The global transactions also included consideration to DuPont of US$1.6 billion to reflect the difference in the value of the assets, including cash of US$1.2 billion and working capital of US$425 million. Mercatus Co-operative Limited: Acting in its purchase of Jurong Point, together with the mall operating business, from Lee Kim Tah Holdings and Guthrie GTS joint venture for S$2.2 billion (US$1.7 billion). The purchase price translates to S$3,343 (US$2,591) per square foot based on the 658,000 square feet of commercial net lettable area. Jurong Point is currently Singapore’s largest suburban mall comprising 2 mall developments integrated with a mixed use development and public infrastructure transport systems. This matter was reported to be Singapore’s largest property investment sales deal in 2017 and was awarded Real Estate Deal of the Year at The Asia Legal Awards 2018. BlackRock Group: Acting as Singapore real estate counsel in its sale of Asia Square Tower 1 to sovereign wealth fund Qatar Investment Authority, which priced the tower at approximately S$3.4 billion (US$2.45 billion). Asia Square Tower 1 is an award-winning landmark office building in Singapore which offers 43 stories of space totalling over 1.25 million square feet of net lettable area. This was reported to be the largest single-tower real estate transaction in the Asia-Pacific region to date and the second largest single-tower real estate transaction globally to date. Confidential Client: Acting in the acquisition of a portfolio of properties comprising multiple commercial units and Housing & Development Board units in Singapore, for a total purchase price of S$651.5 million. The acquisition was completed in two phases and included leaseback arrangements. 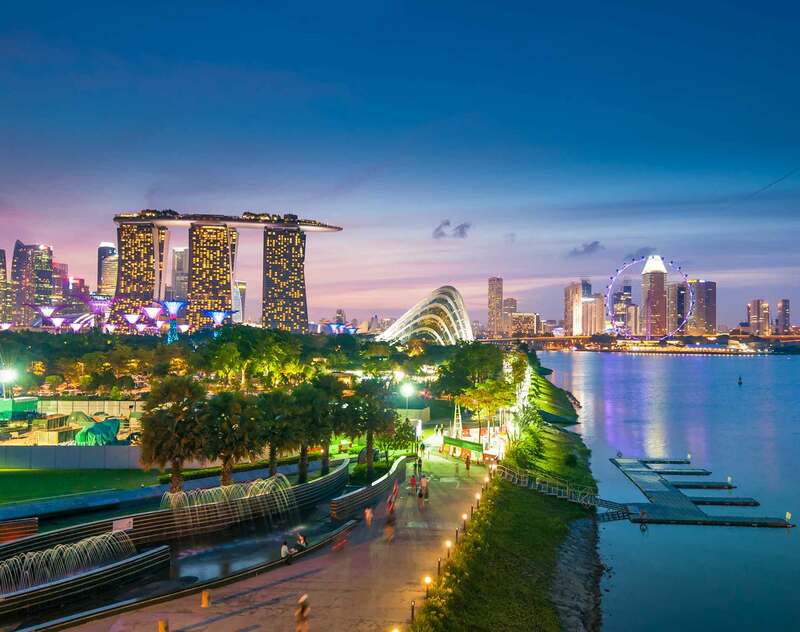 Confidential Client: Advising a Singapore statutory board in structuring and negotiating first of its kind agreements for the co-sharing and management of recreational facilities in Singapore, which involved extensive consideration of land use, land acquisition and redevelopment issues. Confidential Client: Acting in the divestment of a Grade A office building located in the downtown core of the Central Business District of Singapore, for a sale price of S$515.9 million. The building has a net lettable area exceeding 427,000 square feet. OUE Limited: Acting in its acquisition of a rooms-only extension to Crowne Plaza Changi Airport from Changi Airport Group (the manager and operator of Singapore’s Changi Airport), and its subsequent divestment of Crowne Plaza Changi Airport to OUE Hospitality REIT for S$495 million. Crowne Plaza Changi Airport is a business hotel located at Singapore’s Changi Airport and the extension adds 243 new rooms to the existing 320 rooms in the hotel. This matter involved dealing with multiple regulatory authorities on various consents and planning and development issues. Boustead Singapore Limited: Acting for the Singapore Exchange-listed specialist in industrial real estate solutions, in its second contract to design, build and lease an advanced R&D and technology centre expansion (Phase II) to Continental Automotive Singapore (a subsidiary of global automotive supplier Continental). Phase II is connected to Continental Automotive Singapore's existing R&D and technology centre, Continental Building, which is located at Kallang iPark, an industrial park situated on the fringe of the Central Business District in Singapore. Phase II creates an additional 5,000 square metres of space. CapitaLand Limited: Advising in its S$91.8 million acquisition of the Big Orange self-storage business from Invista Real Estate International Holdings (Cayman) Limited, including the business of managing and operating self-storage facilities in Singapore. This matter involved dealing with issues arising from use and sale conditions imposed by the respective head lessors. SMRT Corporation Ltd and NTUC Fairprice: Acting for the subsidiaries of SMRT Corporation (a public transport services provider in Singapore) and NTUC Fairprice Co-operative Limited (the largest supermarket chain in Singapore) in their successful joint bid to lease and operate approximately 40,800 square metres of commercial retail space at the Singapore Sports Hub. The Singapore Sports Hub is a fully integrated sports, entertainment and lifestyle destination in Singapore and one of the largest sporting infrastructure Public-Private-Partnership (PPP) projects in the world.